Carr & Day & Martin Killitch is a licensed product that is proven to prevent and treat sweet itch in horses and ponies. Killitch can be used as a preventative measure if applied to the skin daily in spring before symptoms arise or as a treatment for sweet itch with improvements seen within two weeks. 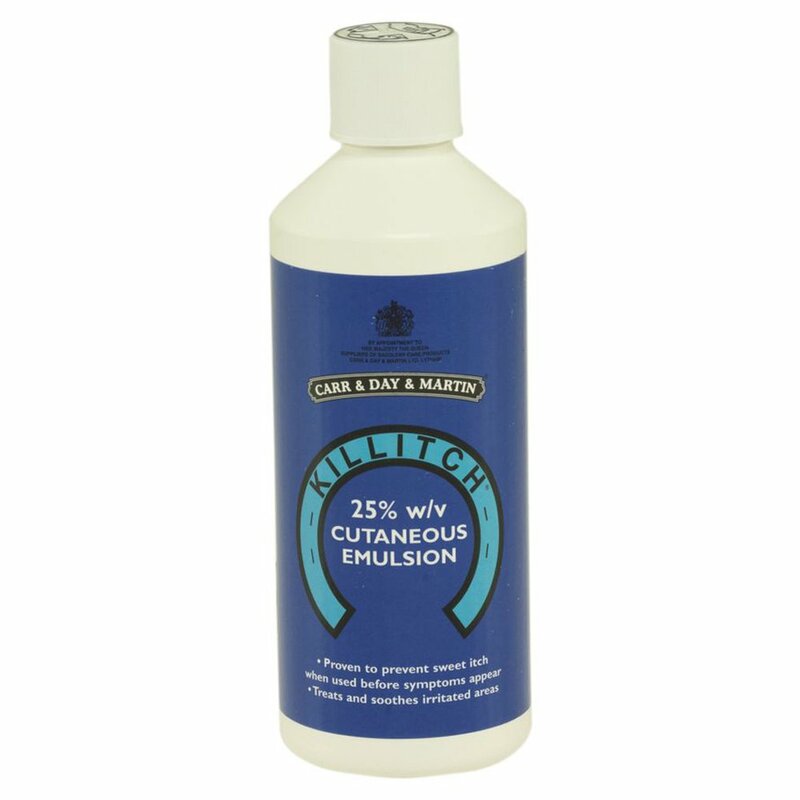 Carr & Day & Martin Killitch is an AVM-GSL licensed product (undergone rigorous testing for safety, efficacy and quality) containing the active ingredient Benzyl Benzoate in a soothing lotion that's been formulated specially for horses. Apply Killitch lotion liberally and directly onto the affected skin on a daily basis, once the irritation lessens Killitch can be applied every other day to keep symptoms at bay. Killitch provides instant protection against midges and an improvement should be seen within two weeks. Ensure affected areas are kept clean through the use of a medicated shampoo, for example Gallop Medicated Shampoo.